On behalf of Admin of JML Law, A Professional Law Corporation posted in Personal Injury on Thursday, Sep 13 2018. When we get up to go to work every morning we usually start with a routine. We either drink coffee or tea and head to our or public transportation. We go about our day thinking about what to do next, we don’t expect to get hurt. Personal Injury is an umbrella term. There so many scenarios that can fall under personal injury. What you need to know is that to file a personal injury you must 1. have an injury and 2. it must be at the cause of someone or something else. 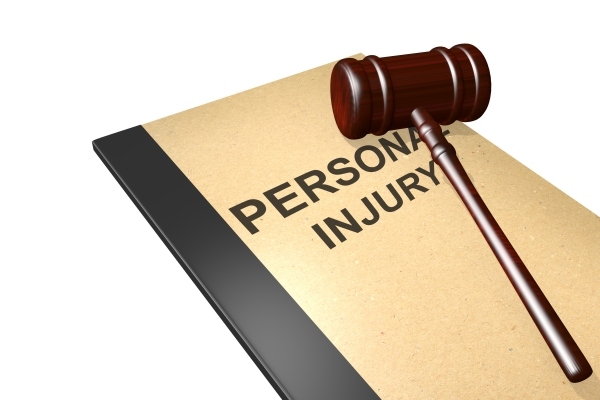 Personal Injury cases come in all shapes and sizes. They can be small claims or big claims. Whichever category you fall in to, it is best that you take the time to find an attorney who can help place your story together and create a plan of action to help get compensation for your injuries. The list goes on! We understand that every personal injury story is unique and requires a particular set of skills to ensure that you get the compensation that you need. When it comes to a personal injury case no matter how small, you, unfortunately, have to worry about a lot. This is why hiring us at JML Law in Los Angeles can help you. When you get into a personal injury, like a car accident or due to a defective product, your injury can be considered catastrophic. This differs from a regular injury because it requires more medical treatment and has long-term or permanent damage. This could be back, spine, or head injuries, for example. These kinds of injuries are expensive. The bills to pay for any medical issues can build up, especially if you have other bills or the dependents you are taking care of like your spouse or children. This is why you need an attorney to help you fight the good fight and ensure that you get the compensation that you need. I am Injured, Now What? If you are still reading then this is the right place for you. Our personal injury attorneys at JML Law understand that you are dealing with a unique and sensitive situation. We know that you are balancing your health and finances which is why we provide a free initial consultation. During this time we can walk through your situation and offer the best legal counsel to ensure that you get the best representation. JML Law believes in guiding our clients every step of their legal journey. We know that you did not expect to be here. We know that this was not the situation you thought you would be in when you woke up that fateful day. Let us help get back to healthy by calling 818-610-8800 for your free consultation.